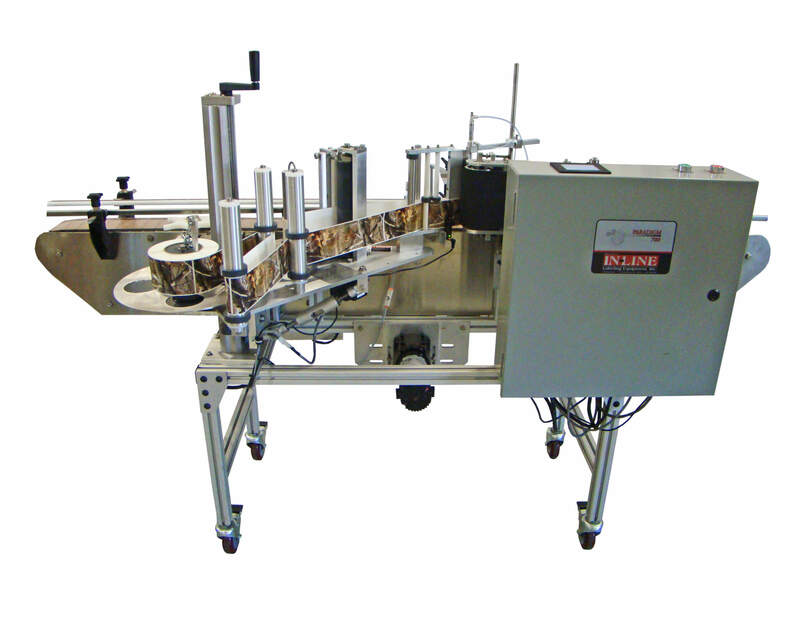 Model 700SP Labeler | InLine Packaging Systems, Inc. 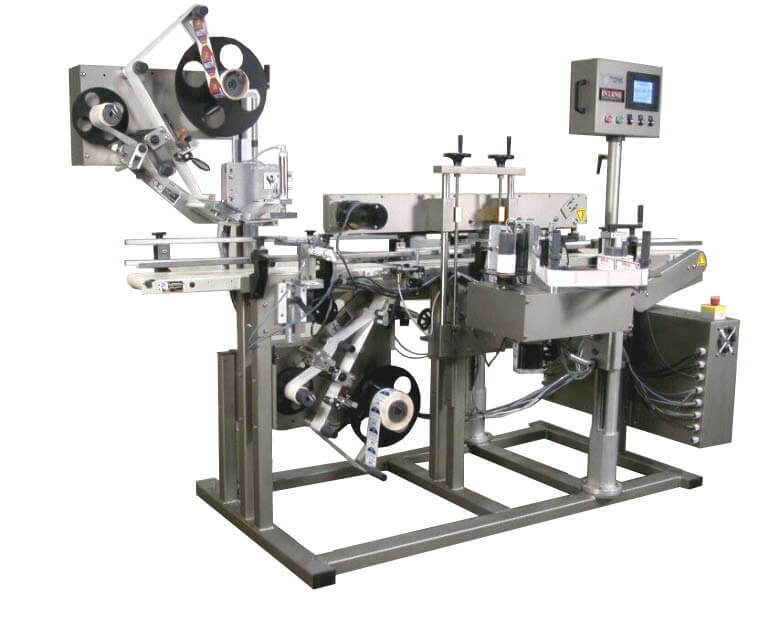 The Model 700SP is a fully automatic and self-contained labeler designed to apply one or two body labels to round containers. Note that for two label applications (front and back) the labels must be alternating from the same web. This machine also is capable of applying clear labels. It precisely controls web feed and placement by utilizing Spin-in-Place labeling techniques in addition to a stepper labeling drive. Spin-in-Place means that the label starting point is referenced from the wall of the container instead of the base, which is generally a better reference point. Gripper plates are designed to the bottle diameter for increased accuracy. Label placement accuracy is excellent on this machine. When accuracy matters, count on In-Line. Save the time and frustration of an inefficient labeling system and choose our Model 700SP Labeler. Since 1994, we have been assembling machines. Since then, we have designed and patented machines that run on efficiency and accuracy. We know the industry and we know the biggest challenges of the industry. That’s why we’ve spent the last 20 years developing solutions for beverage companies that save time and money. We also back up our products with a one-year warranty. And we provide support after the sale. When you choose In-Line, you partner with us for the long-term. We are here to troubleshoot and provide solutions for your bottling needs, long after the purchase is complete. We are passionate problem solvers. We enjoy taking on efficiency and process issues and creating systems that run seamlessly. Our labeling, filling, bottling, and packaging solutions will meet your needs. Give us a call today (link to Contact page) and we will get you set up with a custom solution for your business!